It’s cold outside! For most of us, this can make it hard to get motivated (or get out of a toasty warm bed in the morning… or go outside…), but fitting in language-learning opportunities doesn’t have to be as much of a struggle. Read on for inspiration to keep your child’s language learning opportunities red-hot in the winter months. It’s cold outside, but most of us keep our houses and cars nice and warm. You often see heaters and fireplaces hard at work to bring the temperature up to a more comfortable level. With so many temperature changes around, there are many opportunities to teach your child about temperature concepts such as ‘cold’, ‘warm’ and ‘hot’. Build on their vocabulary by adding new words, such as ‘freezing’, ‘chilly’, ‘toasty warm’ and ‘cosy’ to ensure they have plenty of words to describe how they are feeling. To cope with the changes in temperature, most of us tend to ‘rug up’ in the winter months. This is a fantastic time to build on your child’s vocabulary. Beanies, scarves, gloves, coats, ugg boots, even legwarmers, are items that most of us probably don’t wear year-round, meaning that the ‘getting dressed’ routine has some fresh new learning opportunities. Try laying the clothes for the day on the bed, and asking your child to find the items you name. Turn it into a ‘treasure hunt’ by having your child find the items in different places around the house (maybe your scarves live on the back of the front door, or your gumboots live at the back door). One of the best things about winter is all of the warm, comforting food. Hot chocolate and pumpkin soup are some of my favorites! Engage your child in the cooking process (taking into account their age and skill level) and use this as an opportunity to practice following directions and recounting events. Try taking photos as you go and using these to make your own picture recipe book! TIP: See our blog post Kids in the Kitchen for ideas on maximizing learning opportunities in the kitchen. 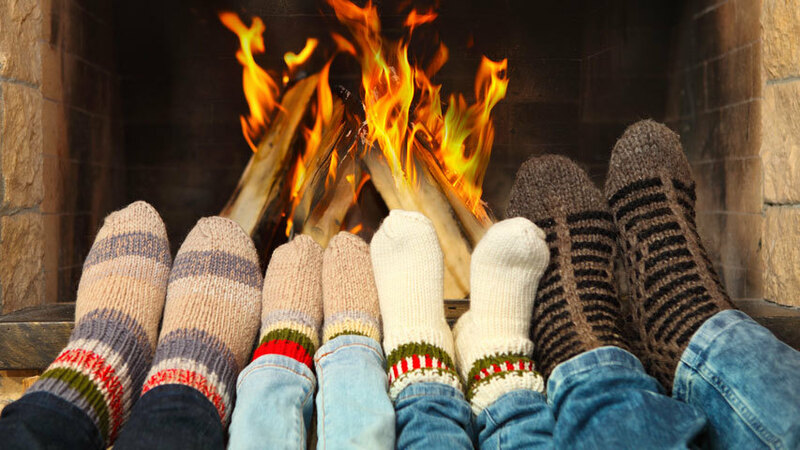 Winter brings with it lots of nasty bugs and germs, and families often find that once one member of the family is sick, everyone else gets a share too! Incorporating education around hygiene is not only important for physical health, but it is a great way to teach your child social skills and new vocabulary. Remembering to ‘cover your mouth when you cough’, ‘put your tissues in the bin’ or ‘wash your hands before you eat’ are simple ways to practice following directions, and to stop the spread of germs. Win-win! TIP: Small TALK have a range of ready-made visual packages to help younger children engage in basic hygiene routines, such as washing and bathing. Did you know? The Small TALK team are dedicated to adhering to our infection control policy. Toys and workspaces are cleaned and sanitized between each session, to make sure our therapy environments are safe and free of germs. We also offer our clients a range of late cancellation options if they are sick, so that families can stay home and get better quicker! What’s a fun day at home without a little singing? Fun nursery rhymes such as “There were 10 in the bed” and “5 little monkeys jumping in the bed” can be fun to act out with your children or their toys, or whilst snuggled on the couch or in bed. Your child will appreciate the change of pace and the catchy tunes may just help brighten your mood. These songs are great for brushing up on number concepts and verbs, as well as talking about safety. Reading is a great way to stay warm and cosy, whilst building on your child’s literacy and language skills. Read all the books in your house? Make book reading a new and exciting adventure by making a trip to your local library, or by using resources such as Storyline Online or Storytime from Space. TIP: See our blog posts We Love Books! or For the Love of Literacy for more information about the importance of story time.